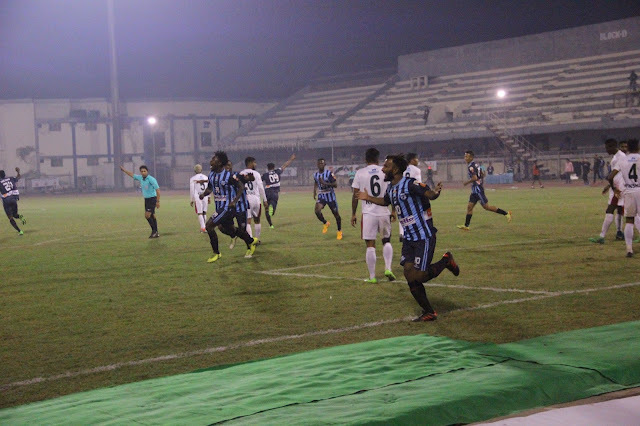 Moinuddin's 89th minute goal cancelled Haitian International, Sony Norde's first half goal as Minerva Punjab managed a 1-1 draw against Mohun Bagan in I-League's opening fixture played at Ludhiana's Guru Nanak Stadium. 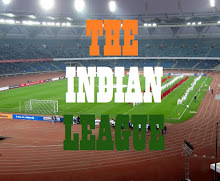 Before the game began, a minute of silence was observed for the former All India Football Federation President Shri P.R. Dasmunsi, who passed away recently. Minerva Punjab looked more dominating in the first half and kept most of the possession. Mohun Bagan on the other hand were more alert and played with caution. All the attack of Minerva came from the left flank in the early moments where Bhutanese forward Chencho tried to break up the Mohun Bagan defence multiple times but failed each time. Sony Norde had a good opportunity to give the away side a lead in 29th minute but his free-kick just missed the left corner of goal post. A sheer moment of brilliance from Sony Norde against the run of play in 42nd minute led to the first goal of the game. Norde received the ball just ahead of the central defenders, he quickly dribbled the ball to the left beating Dano with his pace before slotting the ball in the bottom left corner. At the end of half-time away side Mohun Bagan lead by a goal to nil against the home team Minerva Punjab. As soon as the second half began there was sense of urgency in Minerva Punjab’s attack. Half-time substitute Lago who came in place of Japanese Toshiya was the centre of action. First he missed an open chance created by Girik Khosla after a goal line clearance by Mohun Bagan defence and then moments later he hit the post from the corner in 58th minute. The first half goal scorer and Mohun Bagan sharp shooter Sony Norde created another goal scoring opportunity in 63rd minute but second half substitute Faiaz couldn’t connect to his low cross in front of the empty net. This missed opportunity came to haunt Mohun Bagan later on in the game when Minerva’s second half substitute Moinuddin scored a volley in the 89th minute to level the match. Moinuddin quickly moved away from his marker struck the ball sweetly into the bottom left side of the net. There weren’t any major chances for both teams after the equalizer and the full time scoreline read Minerva Punjab 1-1 Mohun Bagan.